E113 crew on arrival by 7:14 p.m. requests an EMS Plan 1 for a pin-in crash with multiple injuries. Pin-in response held up by BC18. EMS PLAN 1 SECURED AT 7:37 PM on orders of BC18. MABAS Division 20 Box Alarm on Box #?? for a multiple-vehicle, multiple-injury crash with a car vs building crash with entrapment at Victoria Restaurant Super 8 restaurant. Report of a house fire with two women reported injured. Crew on arrival reports a fire on the second floor of a 2-story ordinary by 3:03 a.m. Still and Box Alarm at 3:06 a.m. due to exposure building to the south, on orders of T41. One woman jumped from the second floor during the fire. Third engine (E54) assigned to the rear about 3:12 a.m.
BC20 reports all occupants account for with primary search underway on the first floor by 3:13 a.m.
Primary search in the basement, first floor, and second floor is negative by 3:39 a.m. -- beginning secondary search. All searches negative and complete by 3:54 a.m.
A18 patient transported Code Yellow 3:55 a.m.
A14 transported one patient Code Yellow about 3:55 a.m. Female, age 33, transported to Advocate Christ Medical Center. Female, age 57, transported to Holy Cross Hospital. Both initially described as having minor injuries. TRUCK(S): T41 T50 TL ?? STRUCK OUT AT 3:46 AM on orders of 2-2-5. 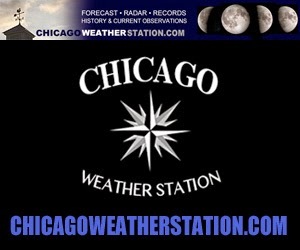 Pin-in crash reported as 732 W 69th St Chicago. T8 crew on arrival reports a pin-in crash. One vehicle on its side up against a building with two people trapped; crews working two Hurst tools. BC19 reports two patients transported Code Red to Level I Trauma Center Advocate Christ Medical Center, including A14's crew transporting one patient in traumatic arrest to Advocate Christ Medical Center. E63 has one firefighter in each ambulance for medic assistance. TRUCK(S): T8 T ?? TL ?? Tender 5 crew on arrival reports flames through the roof. Box Alarm at 4:00 p.m.
Two additional tenders requested at 4:18 p.m. -- Tender 77 and Tender 21 assigned. Tenders 5, 31, 101? already on scene. Most of the fire knocked by 4:25 p.m. Firefighters entering the building and hitting hot spots at 4:36 p.m.
MABAS Division 12 Box Alarm on Box #?? for a house fire at 4:00 p.m.
Report of a semi-trailer truck rollover with possible ejection. One transport by Bolingbrook firefighter/paramedics. Report of a townhouse fire. E64 crew on arrival reports a 3-story multi-family residence, 300x50 with a fire; leading out. Working on overhaul and ventilating by 7:58 p.m.
Outside towns and chiefs released by 7:59 PM. Report of a fire in a brick 3-story apartment building (U-shaped building). BC23 on arrival reports smoke showing on the third floor by 12:50 p.m.
BC23 reports a 3-story ordinary, 200x200. Initially thought the incident was cooking smoke, but reported a working fire by 12:53 p.m.
All companies cleared by 1:29 p.m.
EMS: A ?? FC456 STANDBY A ?? MABAS Division 16 Box Alarm on Box # for an apartment fire at Maple Park Apartments. Fire in the roof mansard area knocked by 1:03 p.m. STAGING: Chicago Ave west of incident. Report of a crash with injuries in the westbound lanes directly under the I-290/IL 53 bridge. A52 crew on arrival reports two cars with moderate damage directly under the bridge by 10:22 a.m.
Report of a crash injuries with an auto fire on northbound Lake Shore Drive at 26th Street. BC2 on arrival reports the fire is out, and holds up E8. Checking passengers that were in the vehicle crash with a corrected location of 2600 S Dearborn Drive. BC2 reports three medical refusals with a fourth likely by 8:49 a.m. Four refusals reported by 8:58 a.m.
Light pole down; city electric requested.